Do you have a B engine and want more power when you accelerate? Does your Civic need an engine transplant? Our Honda engines will give you the change that you need to take your car to its limits without damaging it. We have the B18C1 for sale that was taken directly out of the Integra GS-R in Japan. Our JDM engines have been the choice of thousands of customers that appreciate low prices, quality customer service and fast shipping. 1994 to 2001 were the glory years of the Integra. Millions of these cars were produced and purchased by Honda drivers around the world. The U.S. domestic market welcomed the GS-R with open arms as direct competition with the Civic. The 170 hp of our B18C1 for sale is recognized instantly by Civic owners that want to swap out their B engine for this high performance model. Our Honda VTEC engines coupled with a manual transmission do exactly what racers and enthusiasts love. We know the kind of tricks played on you in the aftermarket and salvage market. We refuse to sell you a rusted out engine with high mileage and call it a sweet deal. 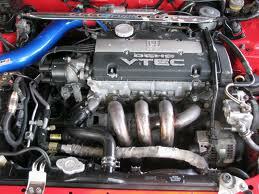 We have an entire staff of engine specialists that love the B18C1 VTEC engines just as much as you do. We know how to inspect each engine we buy for damage and test its performance with our dyno testing. Every B18C1 for sale goes through this stringent process before we will sell an engine to you. We do not play games or mislead you when describing our engines. Your satisfaction is our number one goal. We want you to buy our engines for sale not run away when you are in sticker shock. Our prices are super low because we have spent the time developing relationships around the world with dealers and suppliers. We offer the Honda B18C1 for sale at a great price to help you swap out your current engine or to save money compared to buying a new one. 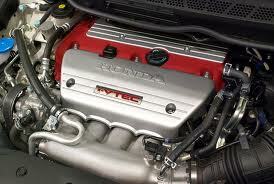 Your Civic or Integra GS-R will benefit from our clean, inspected and rebuilt JDM engines. We do not make it complicated to order our engines. We know that you might be on a tight schedule and want you to receive your engine quickly. Get a free quote for our B18C1 for sale using our quote form. We will provide you with accurate pricing. Call our engine specialists toll free at (866) 289-3100 to order. All of your questions are answered and we ship the same day. It is that simple. One of the things that drivers appreciate about Honda B engines is the fact that they can be swapped in many different Honda cars that were manufactured after 1992. 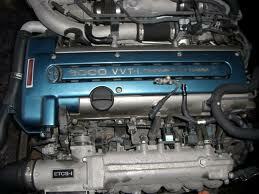 The B engines are an alternative to the VTEC engines used in Civics. 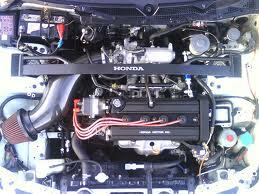 This has helped many Honda K engine owners to find a suitable engine to put into their cars. We know it is difficult to find a good price on a B20 engine for sale. We discount our engines to find the right price point that reflects the condition and mileage. The high redline ratio and impressive horsepower of the B engines helps achieve racing performance in a compact car. 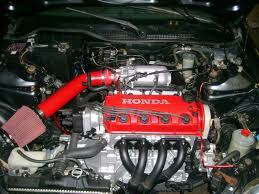 Honda expanded on the B technology and many race teams have implemented these engines to maximize racing performance. Our B20 engines for sale are rebuilt to capitalize on pushing horsepower to its limits. If you are searching for a good engine to swap, this Honda engine will give you what you need without the expensive cost of a new engine. Buying JDM engines online can come with unexpected problems if you are not careful about what you buy. We have heard some bad stories about some engine retailers that sell engines that do not start up or that are littered with rust. We eliminate these types of problems in our engines. We guarantee that every B20 engine for sale in our inventory will start up upon arrival to your door. We know this because we are the ones that rebuild and test our engines. There are plenty of times when we discover a bad part during inspection. This why we put so much emphasis on testing, cleaning and rebuilding engines to sell. We replace defective parts with OEM replacements or certified Honda parts. Every B20 engine for sale has had a performance test and measurement of fluids to guarantee that it will function perfectly in your Honda car. Our engine specialists never cut corners or use cheap parts to increase our profits. Our free quote form starts the research process required before we can sell an engine to you. We must be 100 percent certain that we have your engine in stock and our price is correct. You will be emailed the price you pay and we never persuade you. You can call us toll free at (866) 289-3100 if you have questions. We do everything in our power to make sure you are satisfied. We ship engines immediately after your order is complete to eliminate shipping delays. Honda creates consistent cars that break new ground in terms of street performance and longevity. 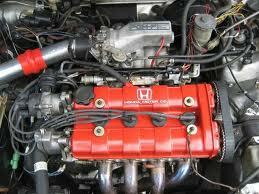 The D engine has evolved since its first introduction inside Honda cars in the late 1980s. With a high redline limit, Civic and Del Sol drivers can push a D engine to the max. We have the D16Y8 for sale at a price that is found nowhere else online. The 1.6L displacement of the D engine helps create the high horsepower that is achieved during acceleration. This is one of the lasting benchmarks set by Honda. Every D16Y8 for sale in our inventory is purchased from reputable sources before final sale to you. Our JDM engines have been stripped and cleaned correctly by experienced engine specialists. Every part is removed and inspected for quality. When we overhaul a Honda D engine, we replace defective parts with OEM parts or certified Honda replacements. This ensures that every D16Y8 for sale meets the high standard of performance that you expect in remanufactured JDM engines. Although the JDM engine market is known for quality, we still provide an extended warranty to you when you make a purchase. Our reasoning for this is simple to understand. Our D16Y8 for sale is rebuilt professionally and tested before it is offered for sale. We analyze the combustion ratio and check the fluid levels for evaporation. After these tests are performed, we still warranty the parts that are replaced by us. It is our responsibility to give you a perfectly functional and low mileage D16Y8 for sale. We eliminate any surprises that can happen after installation. We let the other engine retailers online sell unverified used engines. We have no control over their way of doing business, but we make a promise to treat our customers with respect. We stand behind our engines with our personal guarantee and extended warranty. Every Honda D16Y8 for sale is one more chance to prove to body shops, mechanics and car owners that we take selling engines seriously and provide the very best. We sell you a clean engine that is comparable to a new engine without the high price tag. 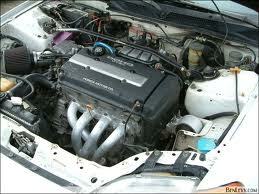 We provide two ways to get our low price for the JDM engine you need. You can call our engine specialists toll free at (866) 289-3100 or complete our online quote form. We let you decide how you want to order our D16Y8 for sale. Our friendly and informative engine specialists are great at answering your questions and ship your engine out the same day your order is completed. The H series engines from Honda are among the finest that have ever been produced for high performance in compact automobiles. The Prelude and Accord models were first to feature this engine and we have the H22A for sale and ready for shipment to your door. This popular 4-cylinder engine is not short on horsepower. Up to 220 hp is available for performance and is beloved by Honda car owners worldwide. You will find that the H22A for sale meets or exceeds Honda quality specifications. The H engine series quickly expanded into other performance engines but the H22A started it all. The popularity of Honda cars in the U.S. was due in part to the success of the Accord and Prelude in the late 1980s and into the late 1990s. These motor vehicles were absolute magnets for auto enthusiasts and we have the H22A for sale in our massive inventory. Our in-house engine specialists use stringent tests to make sure that these engines have the correct mileage and give you uninterrupted performance. The only way we are comparable to other engine dealers online is in the fact that we sell engines. We stand out in every category and always put our customers first. You can buy an H22A for sale from most dealers, but it is hard to tell what kind of condition you will get. Our engines are warranted against defects and OEM parts are used during the rebuild. There could be substitutions for parts that Honda no longer makes, but we can assure you that these parts meet all Honda specs. Our Honda H22A for sale is one of the lowest you will pay for such high quality. Every one of our engines has been rebuilt with our customers in mind. The injectors, sensors, block, starter wires and headers are all rebuilt. Our engines are as close to purchasing a new engine as you can get. We know that when you buy an H22A for sale that you expect it to be ready for installation. You are never alone during the purchase process and afterward when you receive your engine. Our JDM engines are in stock and ready for same day shipment. To get your price quote, complete our free quote form with the make, model and year of the engine you need. You can alternatively call our engine experts and discuss your requirements at (866) 289-3100. Our experts will give you the price you will pay for our H22A for sale and find you the cheapest shipping with the fastest delivery.